It never fails, every Holiday season, I don’t know what gifts to give to my friends and neighbors. So I end up making up treat plates to take around. By the time I get done, I’ve spent a million hours baking in the kitchen and a million dollars on ingredients. Of course since I’m busy baking delicious treats for other people, my family is stuck eating pizza that tastes like cardboard and I’m a horrible, tired, ornery mess. So this year I’m simplifying things. 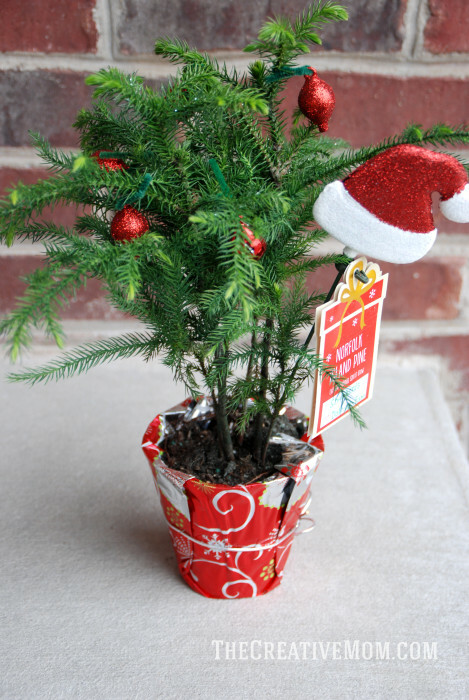 I’m getting my act together early, and I’m sending each of my friends and neighbors cute little Christmas plants to decorate their house for the holidays. I’m delivering these Christmas plants on the day after Thanksgiving to my friends and neighbors. That way they will be able to keep the holiday cheer in their home all season long. And don’t tell them, but I’ll be glad to have their names checked off my Christmas list, and my family will be glad to have their mother sane for the holidays. And I’m starting with these adorable trees. Aren’t they adorable? 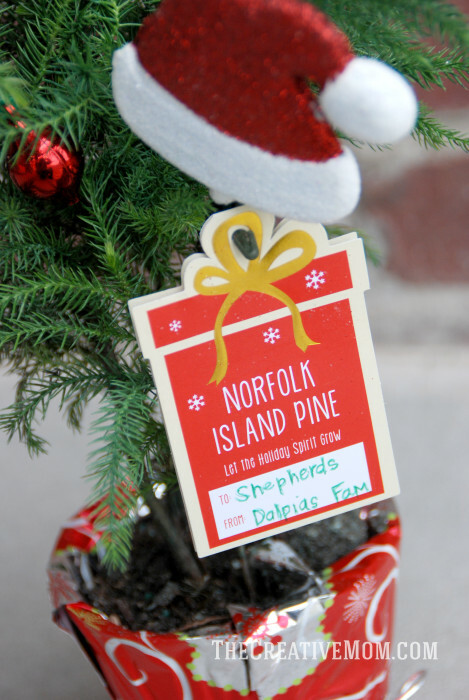 They are Norfolk Island Pines from Costa Farms, and they are absolutely perfect for a friend or neighbor gift. 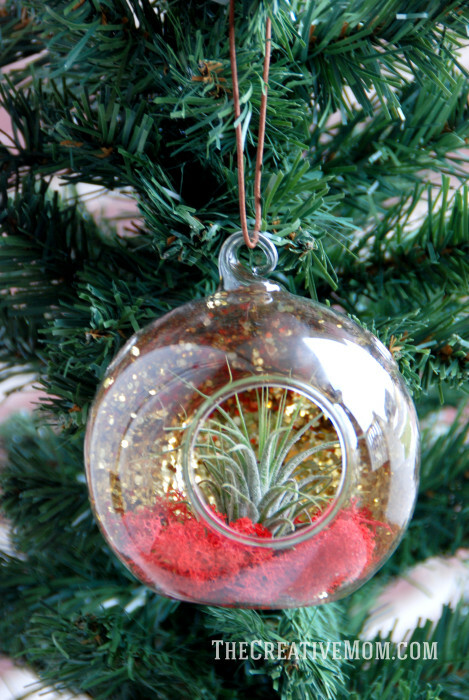 They’re sprinkled with glitter and little ornaments, so they are extra festive. They even have a little Santa hat with a gift tag, so gift giving is perfectly easy! You can find these at national retailers. I spied some at my local Home Depot the other day. And for my girlfriends, I’m giving these Joy Globes. You guys! Aren’t they adorable? I am kind of obsessed with them! 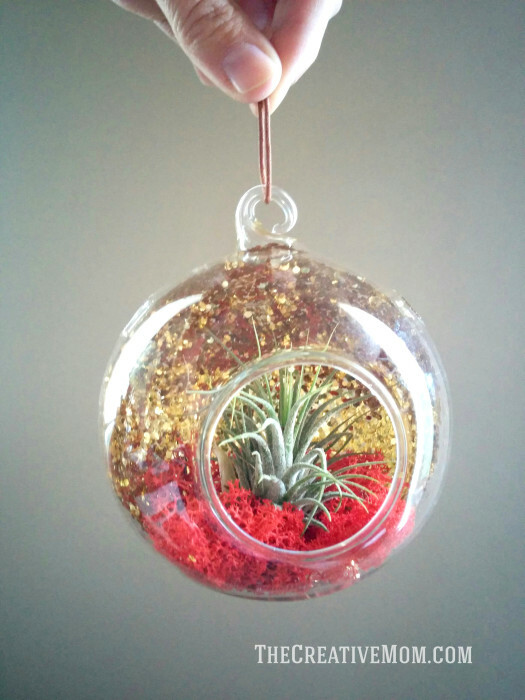 They would be the perfect addition to any Christmas tree. Or can you imagine them hanging in the middle of a wreath? Perfect, right? And after the holidays, I think they’d be cute hanging in a window, or by your kitchen sink.